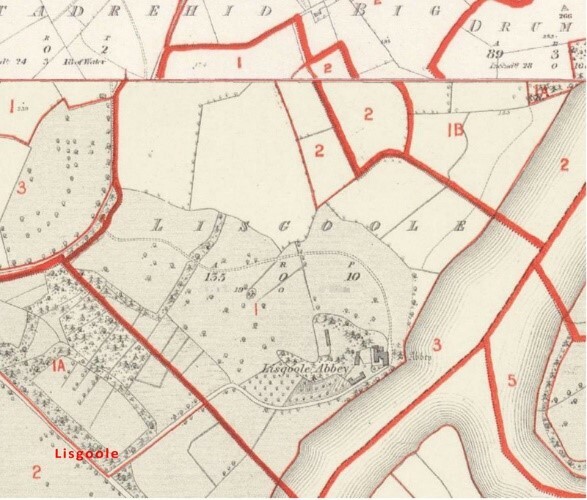 There are no remains on this site on the southern bank of Upper Lough Erne. The Canons Regular of St. Augustine took possession on the site of the old Irish monastery of St. Aid about 1145, and built the Abbey of Ss. Peter, Paul and Mary. The building was burned in 1360 and later re-built. Like many other religious houses in Ulster, it escaped suppression. By 1583 the community had swindled. The Abbot, Cahill McBrien McCuchonnaght Maguire, drew up an agreement, witnessed by many of the Ulster leaders, to hand the abbey over to the Franciscans. It would seem that the friars had not finished reconstructing the building when they were forced to leave in 1598. They returned in 1616 and served in the region through most of the seventeenth and well into the eighteenth centuries. The gradual involvement of the friars in parish work brought about the dispersal of the community. The last Franciscan to live in the area was Fr. Stephen Keenan, who died at Enniskillen in 1811.